In a future article we will introduce a methodology to compute the rolling average correlation smile of an index for a given tenor (say, 3-Month, 1-Year). To do so, we are led to manipulate the break-even volatility skews of each component of this index, and the index itself. However, we need to take into account something “purer” than implied volatilities measured a priori on the options market. By definition such implied volatility is not valid in our study, nor historical volatility, as the latter wouldn’t necessarily be adequate to describe a full moneyness range. To circumvent these limitations, we rely on “break-even volatility”, which can be seen as an exact realisation of the volatility smile. We calculate the N-business days volatility (n=90,180,270,360) for each asset involved (index and the components). Ex, if he are interested in computing the 90 days average correlation of an index, we need the 90 days break-even volatility skews of the index, its components. 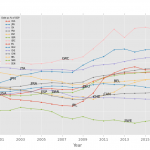 Therefore we need 90 days timeseries of the dividend adjusted index, and its components. The market data required here lies in index, stock close prices, and the net dividends distributed over the delta hedging period. Pretty basic data, but it becomes very quickly a big database (the amount of data is proportional to the index composition, ex: CAC40 vs S&P500). To illustrate this methodology, for every date i over the study period, we roll a N-business days period containing adjusted stock prices (the end date of the periods is defined according to a modified following convention). For every component j of the index, on date i, we are setting an axis of 41 strikes of . .
We use the following procedure to get this breakeven close-to-close volatility: we calculate the value of the option on t and the value of the close-to-close delta hedge from t to t , and we compare this to the initial implied premium. If the premium level on t is too high compared to the total hedge value on t , then we cap the flat volatility at its current level, and we move to another iteration. To set the volatility surface, we assume a sticky ATMF-moneyness framework. 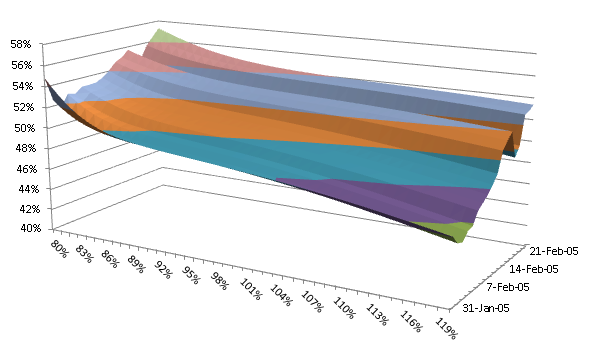 We suppose a range of possible volatilities from 5% to 200%. Repo and risk free rates are assumed to be null. 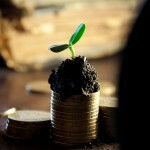 An alternative would be to consider a continuous long term flat rate, say 2%. We consider European vanilla call options, and we price them in a Black& Scholes framework (K: strike in % of the forward). – Use (historical 3-Month volatility) as a proxy for the breakeven volatility. 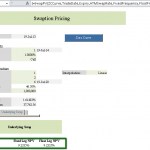 – Given the moneyness K%, we calculate the Call premium C(K%, , 3m)t .
Several iterations of the Total Hedge calculation are performed, according to a dichotomy procedure. then is too low, and becomes the lower boundary of the dichotomy. The bandwith for is limited to 5%; 200% . 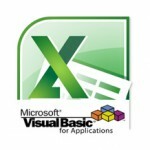 A VBA/Excel sheet is attached at the end of this article. VBA is not ideal with regards to performances, given the amount of iterations. C++ or C# would be more adapted (maybe for another article 🙂 ). therefore work out the ATM Vol, and compute the left and right in a second step. It is convenient to split the algorithm into several functions. 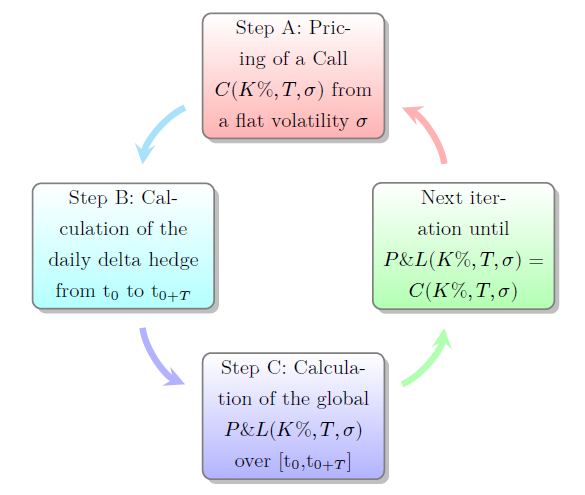 A first one to price the Call C(K%,T) on t . A second function calculates the delta hedge during the period considered, and returns the total hedge, etc. The latter should be less than 0.0001 * , before we can conclude that . 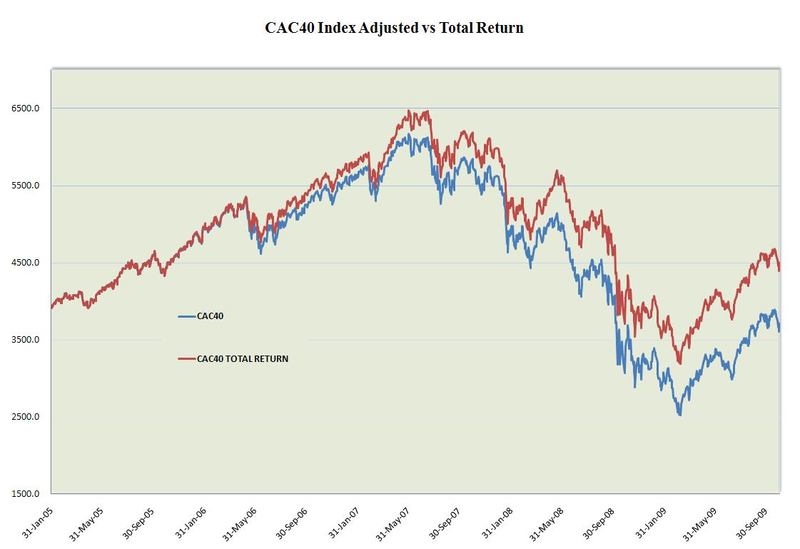 In practice, once we have gathered historical timeseries and dividends for the 51 components of the CAC40 universe from Jan 2005 to Aug 2009, we perform a batch that calls the RVolSmileForIndex() VBA function available in the annexes of this article. For instance, the next figure is an outlook of the calculations for 1 month of break-even volatility at the beginning of 2015 for a stock over the study period. It is actually more relevant to talk about break-even volatility profiles, instead of smiles or skews. Indeed these profiles can vary significantly through time, and exhibit several types of slope, declinations in their convexity. And also it is noticeable that most of them reveal some concavity with regards to ITM and OTM forward moneyness. msgstring = "HedgeCost: " & i & Err.Description & " Continuer?"